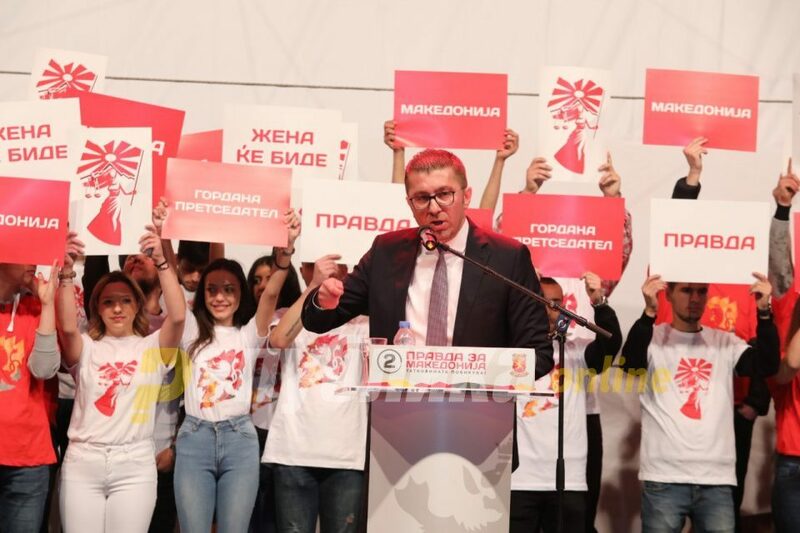 VMRO-DPMNE’s presidential candidate Gordana Siljanovska-Davkova held Saturday a central rally, where VMRO-DPMNE leader Hristijan Mickoski also delivered a speech. He noted that with the current authorities, there is only work for the companies close to them and he addressed the unemployed to not accept the lies of Zaev’s government that the country is about to do better because these two years the state is only going backward. Do not accept the lies of the government that we the country is about to do better, and for 2 years we are going backward. With this government, Macedonia is being bypassed by investors, and there is only work for the companies close to the government. And I know that you are desperate and that it seems that you are in a hopeless situation, but here we show you together that the hope is the beginning of the fall of this government, it is the hope in Macedonia and the forerunner of the changes that will happen, stressed Mickoski.